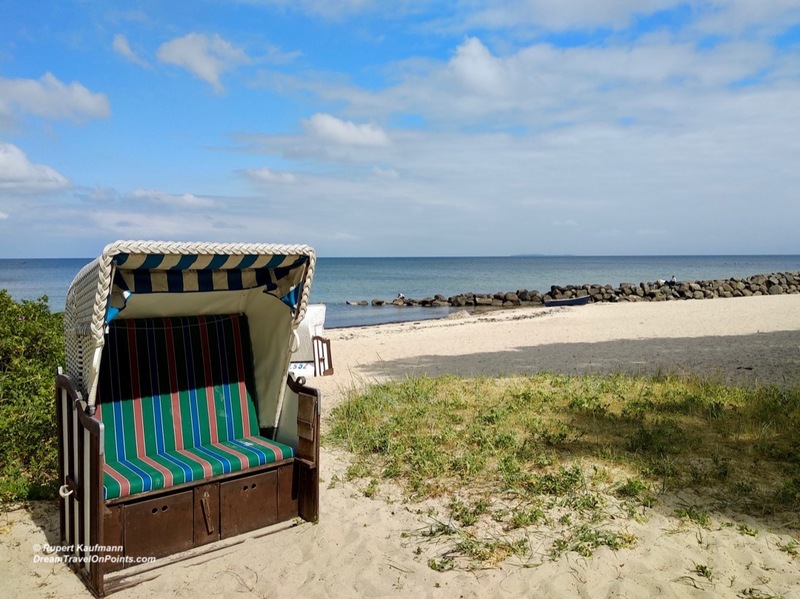 Ruegen is not only the largest German island, it’s also one of the oldest and today most popular beach destination in Germany. It’s history has protected it from the overdevelopment you find in many other European holiday destinations, resulting in a charming feel of yesteryear with treelined roads criss-crossing the island, little white villas as guest houses and mile-long beaches for long walks without the crowds! If you are looking for a peaceful, relaxing stay on the ocean, check out Ruegen! Ruegen was one of the earliest beach destinations, with little guest houses catering to visitors from Berlin and Eastern parts of Germany. The Nazi regime planned the first mass-tourism development for workers, but it was never finished. And the communist regime of East Germany wiped out private guest houses after the war and tourism wasn’t that high on their list of priorities. Thus Ruegen didn’t suffer the (over-)development of concrete high-rises on the beaches that have marred beaches in Spain and on other European beaches. 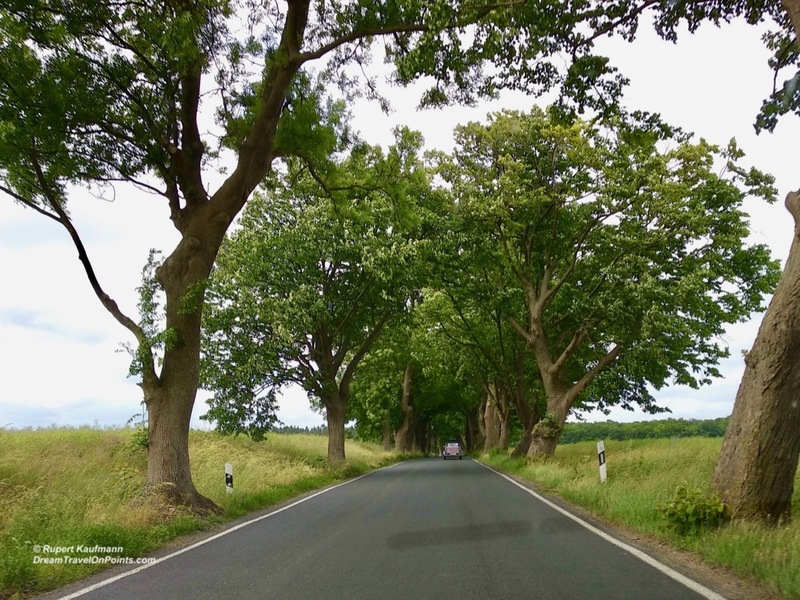 I noticed the difference when I drove along the little country roads, lined by trees on both sides that connected above me – called “Allee” – perfect for a convertible ride with the top down to enjoy nature! 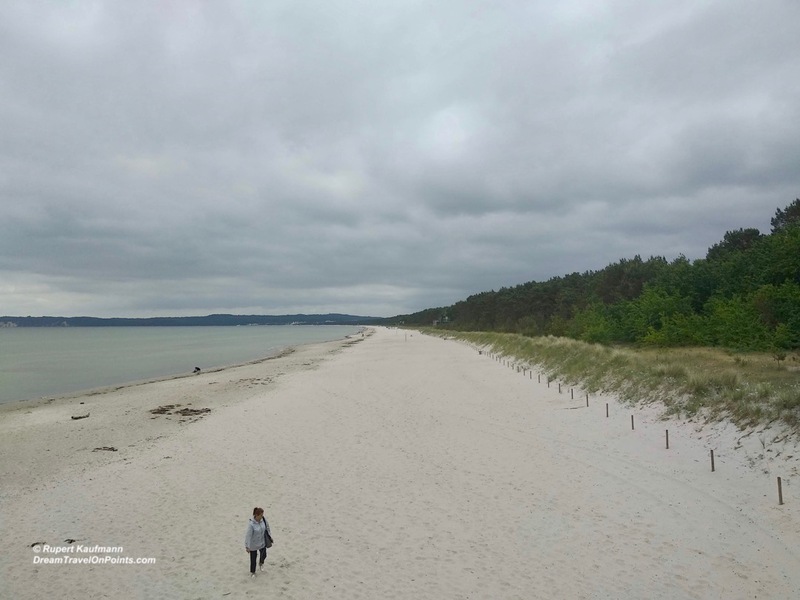 Ruegen offers beautiful landscapes beyond the “Alleen” – sandy beaches line the shores, separted by steep cliffs. The island has many lagoons, bays and headlands, making for very interesting and varying surroundings. That makes it a great destination for long walks along the coast, hikes up the cliffs or bike tours across the island! While it is a popular island, it’s not hard to leave the crowds behind. The beaches are typical for Northern Europe – the water is refreshing, it is above 20C (68F) in the peak summer season, but can be as low as 2C (35F) in winter. The beaches are yellow and not quite as fine as my favorite tropical beaches. And you can expect a breeze most of the time, which is you’ll find the iconic “Strandkorb” on most of the beaches. The most popular activity are long walks along the beaches with great views. Ruegen is also home to a lot of great spas and wellness hotels, so you can relax after those walks and bike rides and be pampered. There are also lots of cafes and restaurants with views of the ocean as well, so you can bring a book and read with a coffee at hand! 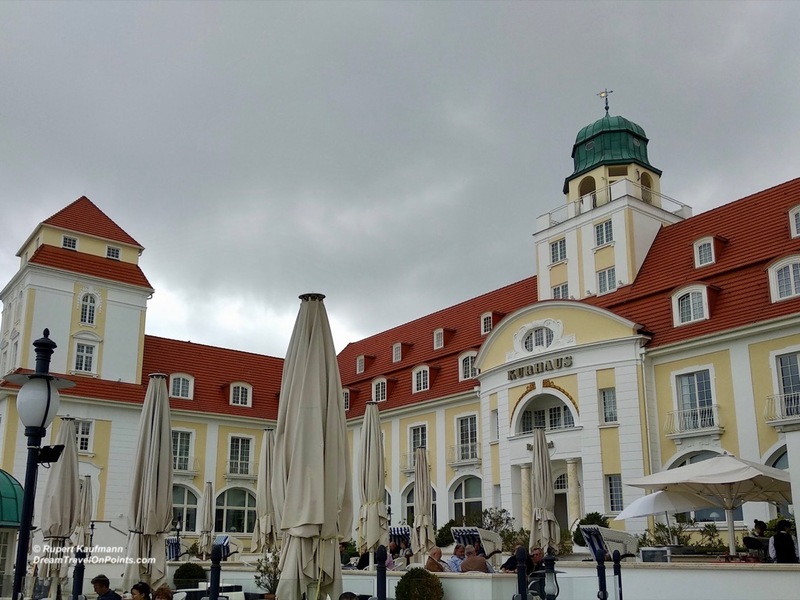 Where to stay: If you want everything you need during your vacation close at hand and maybe arrive by train, Binz is your best bet! It has a number of nice wellness hotels as well as private guest houses. The pedestrian area offers plenty of shops and a number of restaurants for all budgets, so you never have to go too far. And most tourist sights can be easily reached from Binz. Sellin and Goehren are two smaller towns along the beach, offering you a little more peace and quiet, with slightly less convenience and offering. You’ll find mostly small guesthouses here to stay! If you are on a road-trip, like me, and want to explore the island for the first time, you can also consider less expensive places away from the beach. I stayed at Hotel Du Nord in Putbus and it was excellent value.